Brands take any social opportunity to bounce on and attract potential customers. 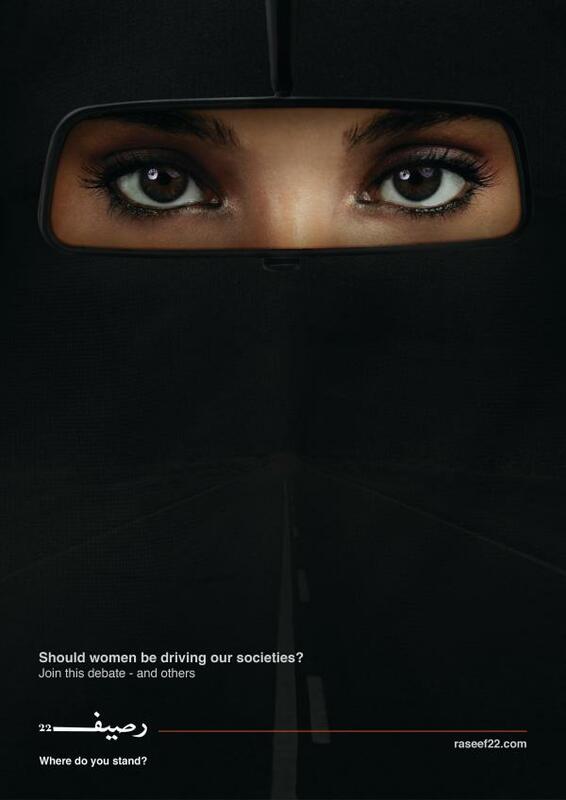 Brands also sometimes take the easy way out and copy other ads - case in point? 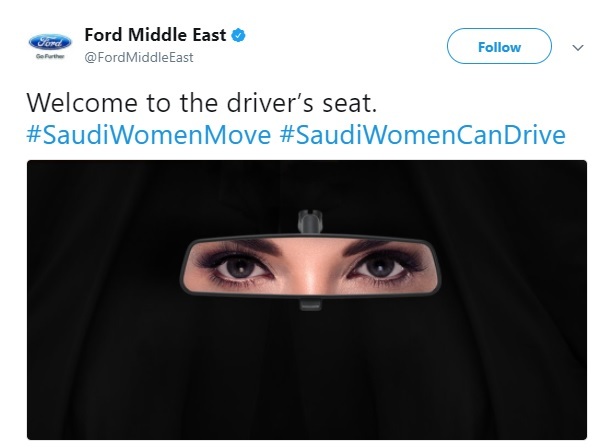 Ford for women driving in Saudi Arabia. Which is a replica of the Raseef22 poster which appeared last year. 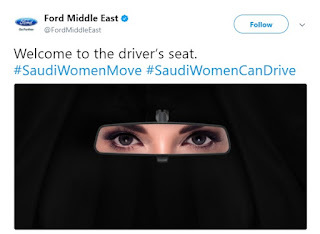 Nice try ford, now how about some creativity not copied from others?